Townsville is a city on the north-eastern coast of Australia, in the state of Queensland. 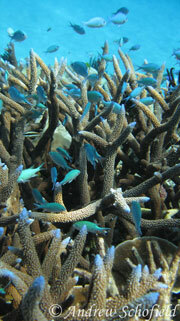 Adjacent to the central section of the Great Barrier Reef, it is in the dry tropics region of Queensland. 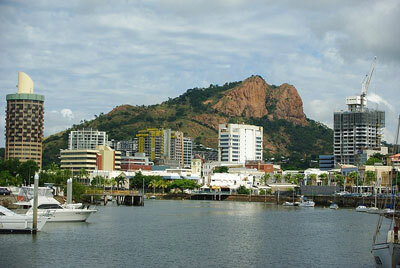 Townsville is Australia's largest urban centre north of the Sunshine Coast, with a 2011 estimated population of 191 000. Considered the unofficial capital of North Queensland, Townsville hosts a significant number of governmental, community and major business administrative offices for the northern half of the state. Popular attractions include the Great Barrier Reef; the world-famous wreck of the SS Yongala; 'The Strand', a long tropical beach and garden strip; Riverway, a riverfront parkland attraction located on the banks of Ross River; Reef HQ, a large tropical aquarium holding many of the Great Barrier Reef's native flora and fauna; the Museum of Tropical Queensland, built around a display of relics from the sunken British warship HMS Pandora and the wreck of the SS Yongala; and Magnetic Island, a large neighbouring island, the vast majority of which is national park. 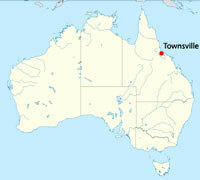 Townsville lies approximately 1,300 kilometres north of Brisbane, and 350 kilometres south of Cairns. It lies on the shores of Cleveland Bay, protected to some degree from the predominately south-east weather. Cleveland Bay is mostly shallow inshore, with several large beachess. Magnetic Island lies 8 km offshore, to the north of the city centre. Diving is a major tourist draw and favourite local activity. The central section of the Great Barrier Reef, directly east of Townsville is arguably the healthiest part of the 2300 km long reef system. With its distance from land reducing the effects of run-off and the small number of operators taking divers to the reef, the human impact is visibly much less than in Cairns or Port Douglas to the north.